Producer and writer Ria Limjap talks about the process of adapting the book into a movie, while author F.H. Batacan cites the importance of its message in times like these. Whether you read the book or not, the film adaptation of Smaller and Smaller Circles is a definite must-watch for cinema-goers looking for a compelling watch. Aside from being a highly enjoyable film which boasts of a stellar cast, to see this genre come to life in a Pinoy setting is such an interesting (and relevant) break from your usual investigative movies and television shows. When Smaller and Smaller Circles first premiered at the Busan International Film Festival in October, the film was nominated for the Kim Ji-Seok Award along with 10 other titles. It premiered in theaters locally on December 6, and as many have come to know, you're definitely missing out if you haven't seen it yet. But just how faithful was the movie to the novel? "Any author who goes into a script conference seeing himself as the guard dog of his novel is wasting his time... the most the novelist can ask is that somehow the arc of his story survives and the audience will leave the cinema having met some of the characters, and shared some of the emotions that the reader experienced when he closed the book," Felisa H. Batacan quotes fellow author John LeCarre on the success of the on-screen adaptation of his novel, The Night Manager. These are the words the novelist admits she took to heart before giving the Smaller production team free rein over the plot and characters she had conceived. 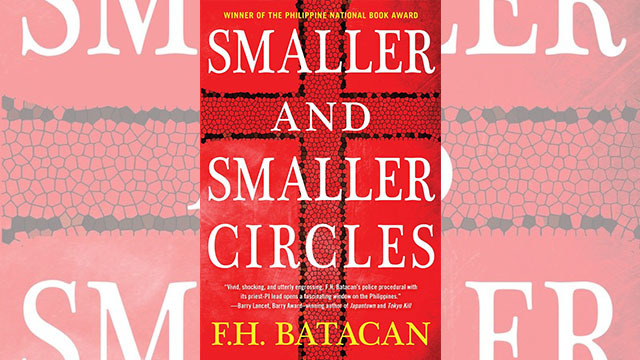 It's been nearly two decades since her manuscript for Smaller and Smaller Circles, now lauded as the Philippines' first crime novel, first gained acclaim in the local publishing world, and eventually won her the 1999 Carlos Palanca Memorial Award for Best Novel in the English division. No doubt much has changed in the social and political spheres, so we thought to ask Batacan once more why this particular story needed to come out now. "The country's poor are still disposable, expendable, and trapped in a broken system with very little chance of advancing in life. And the powerful, regardless of their political color are still blithely uncaring, defiantly incompetent, or spectacularly corrupt—if not, then some virulent combination of all three." Ria Limjap, the film's co-writer and co-producer, finds it ironic and eerie to see how a story written in the 1990s still mirrors what's happening on the streets today. On working with Batacan, Limjap describes the author as "low key and intense at the same time." While Batacan downplays her role as consultant, Limjap says the details and input she provided enriched the script even more. "She gave us so much, like what kind of music Father Gus Saenz would listen to, to the birthdate of the killer, and other details that made the story even richer." 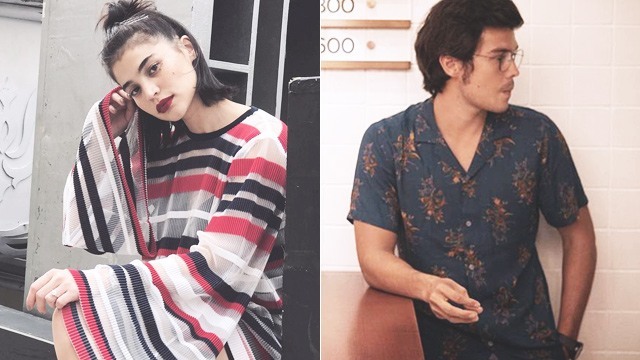 Limjap reveals that Batacan's candid eloquence, conveyed through chats on Facebook Messenger with co-writer and co-producer Moira Lang, would end up in the movie's dialogue. "'Time and forgetfulness are the allies of abusers' is a memorable one," she adds. Moira wrote it into the lecture Father Jerome Lucero gives his students. Adapting a novel into a film poses its challenges, and according to Limjap, it meant a "transposition from literary to cinematic" so while they wanted to stay true to the source material, some things needed to be changed. Batacan agrees that it's impossible to cram 300 pages of information from a book into an hour-and-a-half film, but Limjap and her team did their best. "It's not easy because we all love the original book, but fortunately I collaborated closely with director Raya Martin—who had read the early UP Press edition—and Moira on the screenplay and we decided what would be kept and what had to be left out," shares Limjap. "My collaborators have an excellent grasp of these things so I consider myself lucky to work with them on this adaptation." Principal photography took a mere 20 days but in a span of over two-and-a-half months last year. It took place during the summer, over the course of long hours, erratic weather, and various locations—from old Binondo buildings to the Katipunan campus of Ateneo de Manila. Limjap recalls it as a fun time. "One day, we were shooting in a school and we bought dirty ice cream for all the kids on set," she tells us. Although fundamentally retaining the essence of the novel, the film evokes a different type of power than what the book held. Smaller also seeks to recreate the same impact its source material did years ago. But what Limjap wants more than anything from this project is to get people talking. "I hope it sparks discussion and opens minds. I hope people become more aware of how our individual actions—whether good or bad—affect those around us." Similarly, Batacan sees the medium of film as another method of disruption. "I think crime fiction and crime films have the capacity to hold a mirror to our world and reflect our ugliness, our failures, our hopes back to us. We must interrogate, we must disturb, even as we entertain." Smaller and Smaller Circles is currently showing in theaters nationwide.